I think these fender flares are cool. What about you? Those fender flares add a good look to almost any vehicle! You know what Jeep stands for? ha. my pockets are indeed empty. Anyone have pics or video of the installation process? 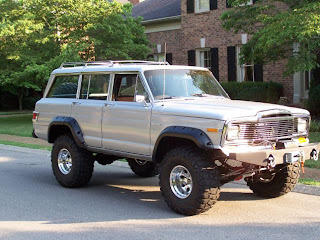 I just got the Bushwacher Cut-Out Fender Flares for a 4 door Wagoneer. Thanks a lot in advance!